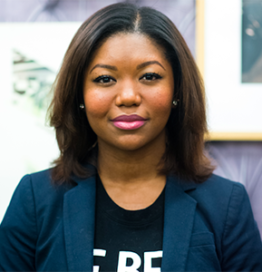 Tameka Vasquez is a marketing and business development strategist, currently focused on high-technology industries. Tameka also serves as an adjunct professor of marketing at Baruch College and a strategic advisor to several technology startups. For the past eight years, Tameka has held various marketing roles with global technology companies in various industries including publishing, media, financial services, advertising and business intelligence. Tameka holds a BA in Corporate Communications from Baruch College, and a MS in Information Strategy & Knowledge Management from Columbia University.